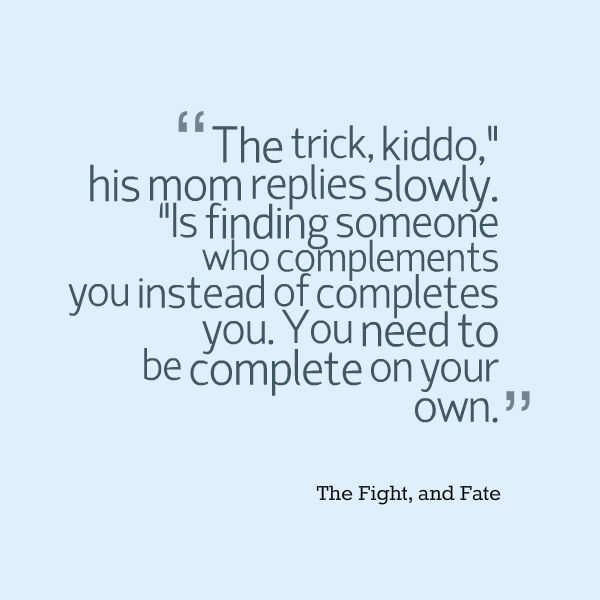 Do you believe you need a relationship to make you a complete person? Believing this will inevitably lead to you being reliant (and often, needy) on another person to feel good about yourself. To truly have high self-esteem, you need to work on believing that you can be complete all by yourself. That way, you will be picking a partner who complements you and makes you happy, rather than picking someone just to ‘have’ someone. Work on your inner demons and self-worth so you don’t need a partner to validate your inner and outer beauty. Look at my tips page for some ideas on how to raise self-esteem. Once you’ve found them, don’t drop your passions and interests to make room for a partner – they make you more attractive anyway. Sound advice. It’s a bit of an oxymoron that the less you cling to others, the more they are attracted to you, to an extent, of course. And you’re right – true completion and fulfillment comes from the inside, not from external circumstances like a relationship, job, career, wealth, or environment.